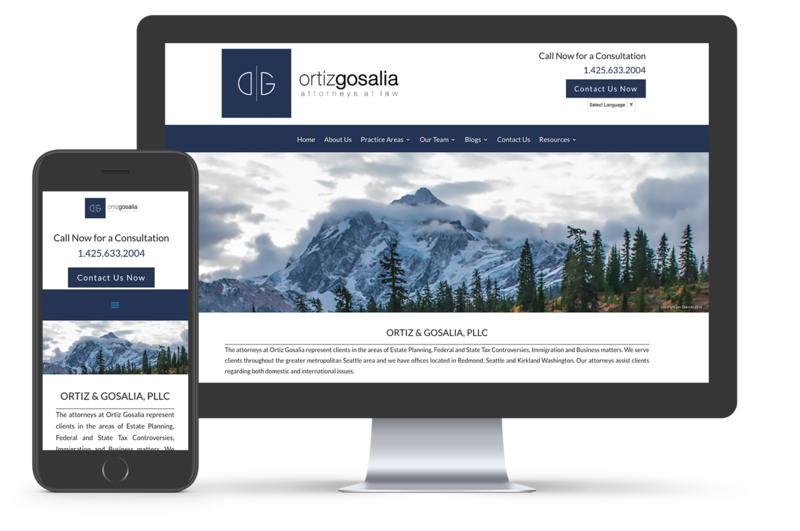 The attorneys at Ortiz Gosalia reached out to us this Summer with the goal to create a website presence that communicated well with their clients in the areas of Estate Planning, Federal and State Tax Controversies, Immigration and Business matters. They wanted a clean website for their clients throughout the greater metropolitan Seattle area that featured client newsletters, and practice area blogs. It was a privilege to work with them!